According to the Wall Street Journal (link below), former Full Tilt Poker CEO Ray Bitar pled guilty on Monday to multiple charges including violating the UIGEA and conspiracy to commit bank and wire fraud. Bitar received a sentence of "time served" thanks to his rapidly failing health. According to Bitar's lawyer, the former Full Tilt CEO is suffering from heart failure and will need a new heart in order to live. If Bitar was sent to jail, his lawyer argued, he would almost certainly die as he would not receive "appropriate care" and the new heart that he needs to live. US District Judge Loretta Preska agreed and sentenced Bitar to "time served". As part of his plea agreement, Bitar will also forfeit up to $40 million in assets. 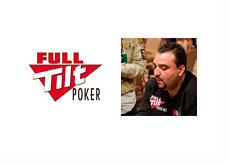 In recent months, three of the most powerful men at Full Tilt Poker 1.0, Ray Bitar, Chris "Jesus" Ferguson and Howard Lederer, have settled with the US government. Ray Bitar was arrested in late July at JFK airport in New York. 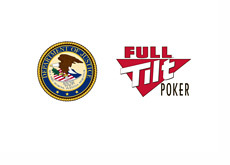 This arrest came shortly before Pokerstars announced their massive settlement with the US government, a settlement that included the purchase of Full Tilt Poker's assets.